President Xi Jinping called on the country’s writers, artists and theorists to boost cultural confidence and create good works for the people on Monday. 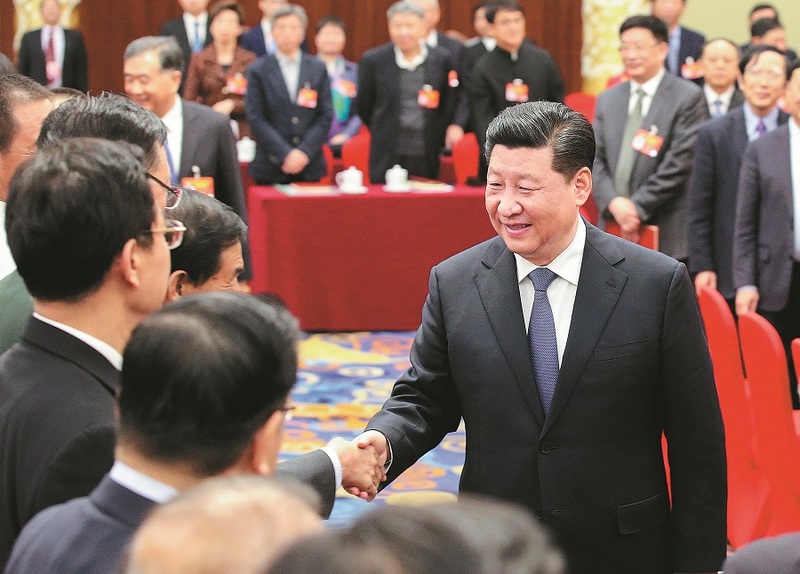 Xi, also general secretary of the Communist Party of China Central Committee and chairman of the Central Military Commission, made the remark during discussions with political advisers from culture, art, and social sciences amid the top political advisory body’s annual session. During the discussion, eight members of the Chinese People’s Political Consultative Conference National Committee spoke on such topics as preventing and addressing risks in the ideological area, making full use of museums and creating good works for the people. On behalf of the CPC Central Committee, Xi extended sincere greetings to all the political advisers and to people in the culture, art and social science sectors. Xi pointed out that excellent writers, artists, and theorists are greatly needed in the new era, and there is great space for the development of arts and innovation in social sciences. Xi called on political advisers from culture, art, and social sciences groups to listen to the voice of the times, keep up with the times and put the people at the center of their work. Calling 2018 an extraordinary year for the country, Xi said the CPC Central Committee led people of all ethnicities to maintain proper economic growth, ensure stability of the society and help the people have a sense of gain in the past year. A country must have its own spirit, Xi said, adding that culture, art, and social sciences works are related to that spirit, which is of great significance in upholding and developing socialism with Chinese characteristics. Xi said socialism with Chinese characteristics has entered a new era, and writers, artists and theorists should accept the mission of recording the new era and reflecting the historic changes of the times. The president highlighted a people-centered philosophy, saying that all of the country’s achievements are created by the people and all of the glories belong to the people. To overcome the difficulties and achieve the goals set by the Party’s 19th National Congress, the Party must rely on the people and gather the strength of nearly 1.4 billion Chinese people, Xi said. Xi told the political advisers that only through getting down to the grassroots and hearing the people’s voices will they obtain good ideas to create art. Social sciences workers should do more field research, have a better understanding of people’s livelihoods and answer the people’s questions in their works, Xi said. Writers, artists, and theorists should reflect the progress made by the country and the people’s good life, Xi said, adding that they should convey the Chinese spirit, value and strength in their works.